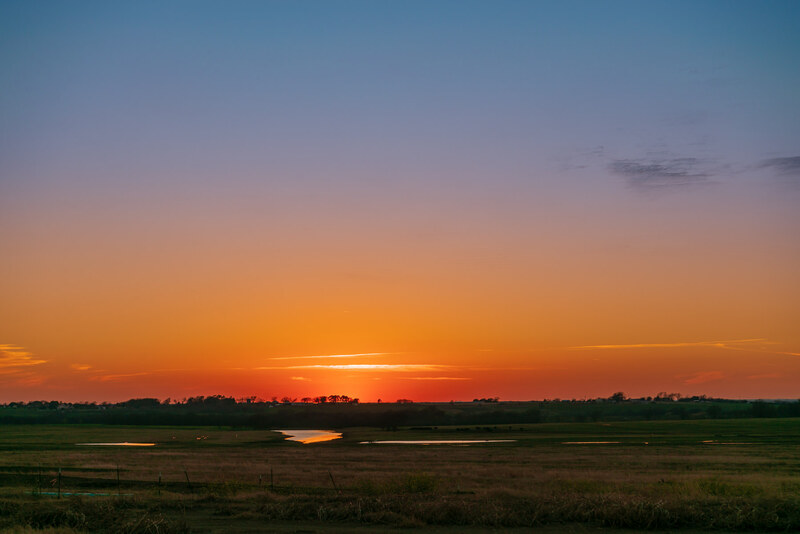 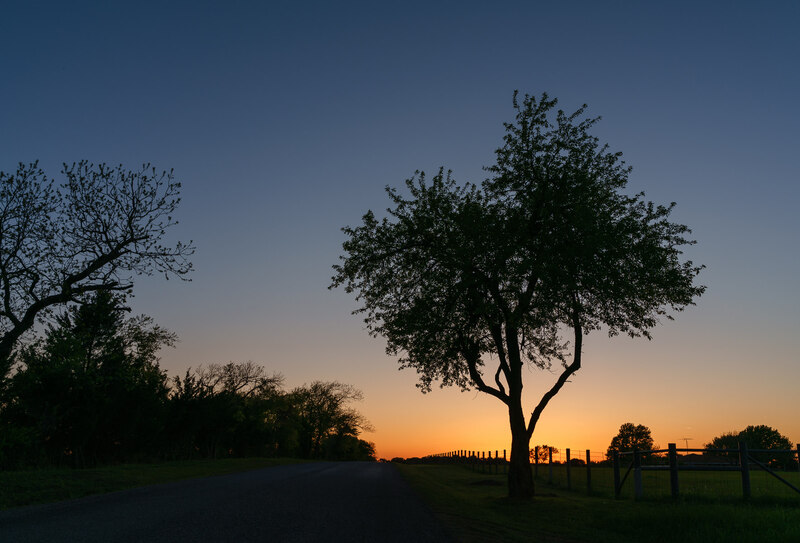 The sun sets on a farm near the town of West, Texas. 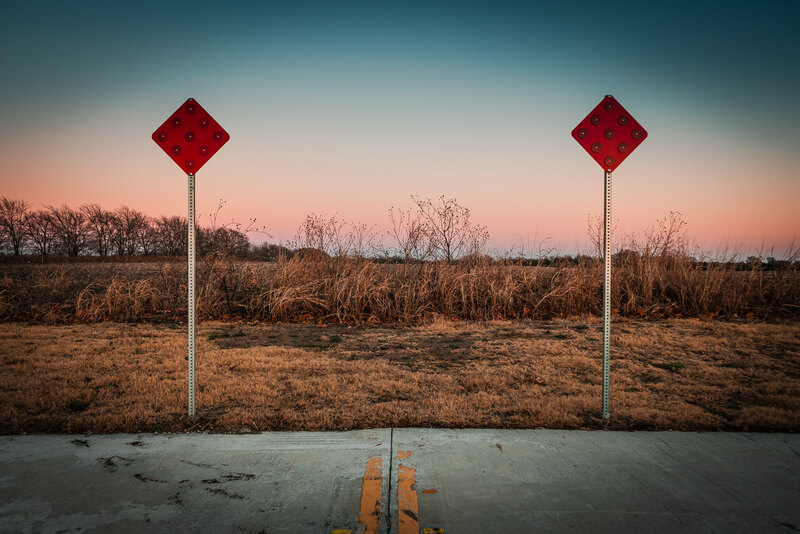 Reflectors mark the end of a road near McKinney, Texas. 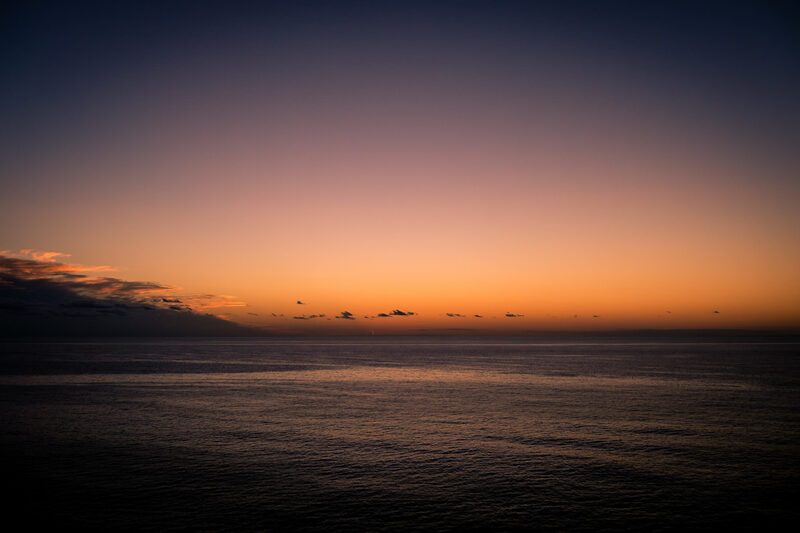 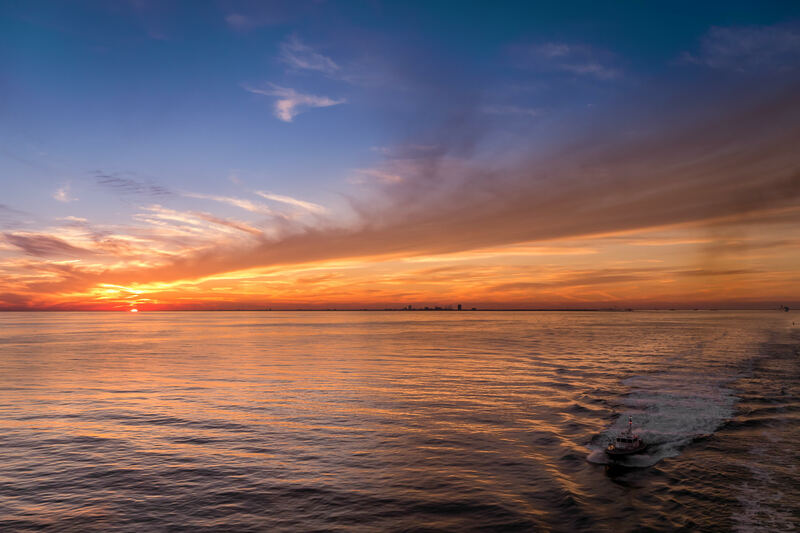 The sun sets on the distant skyline of Galveston, Texas. 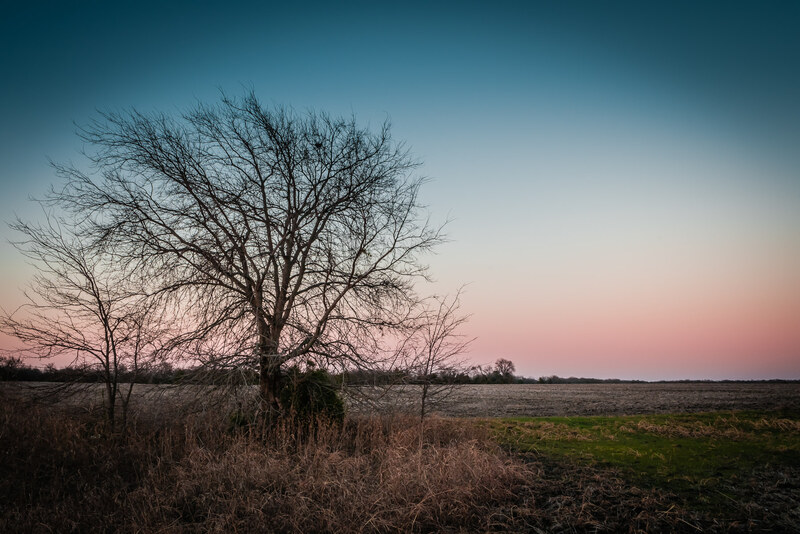 A tree watches another day end in a field near McKinney, Texas. 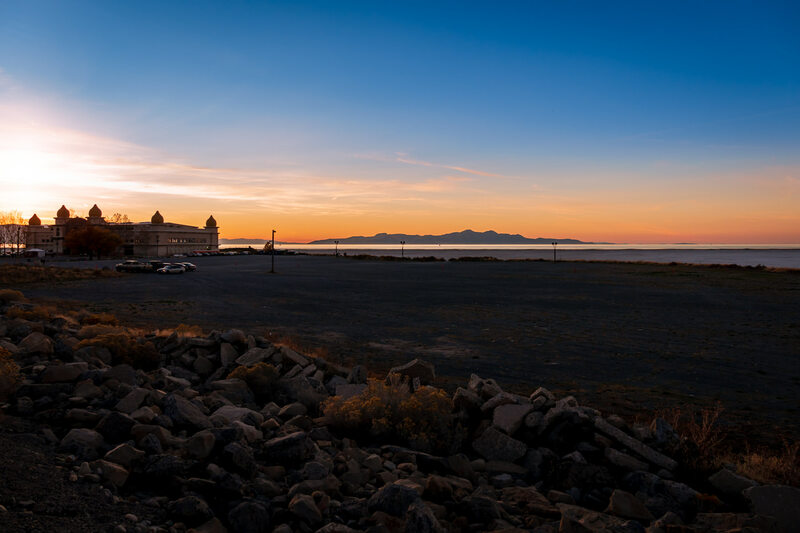 The sun sets on the Saltair concert venue along the southern shore of Utah’s Great Salt Lake near Tooele.